Create ringtones on Audiko.net! 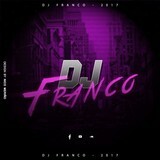 Just download a free DJ Franco ringtones for your iPhone or mobile. Suit yourself your favorite measures from your favorite ballad - No Quiero Amores - Yandel x Ozuna - (DJ Franco feat. DJ Cowe, Si Tu La Ves Remix - Nicky Jam X Wisin -, No Me Haces Falta - (Reggaetrap Version) - Eloy - (DJ Franco, or any other track. You can receive your track piece both in the MP3 and m4a formats, supported by both mobile phones and iPhones. Just select a track, and choose free DJ Franco ringtones download option.